The Regional Greenhouse Gas Initiative (RGGI) made history as the first mandatory market-based greenhouse gas reduction program covering the electricity sector to be set up in the United States. REMI cordially invites you to a guest webinar presentation on Wednesday, May 16th from 2 to 3 p.m. EST with Bansari Saha, Ph.D., Principal Economist at ICF, who will be presenting an economic analysis of the RGGI program. 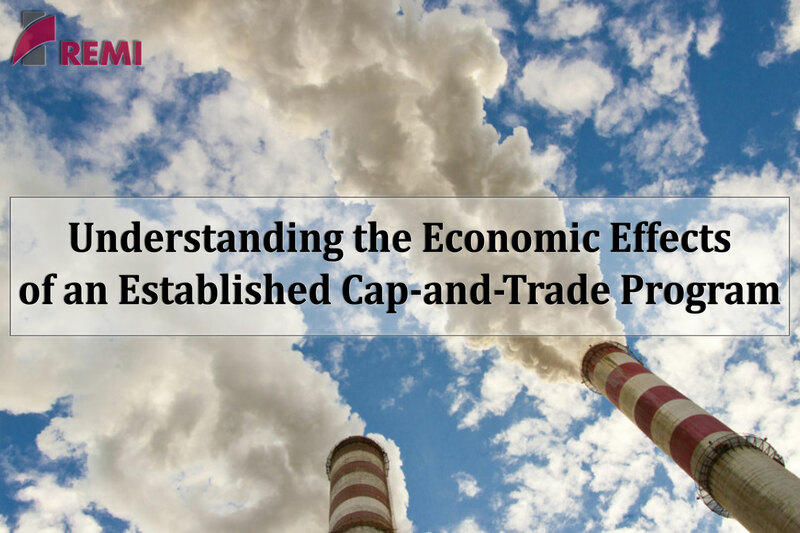 RGGI is an innovative cap-and-trade program that limits the overall emission levels for CO2, but allows the affected states to find cost-effective emission reductions through an allowance trading market. The program currently covers nine states in the Northeast and Mid-Atlantic region. ICF has been supporting the analytical needs of RGGI, Inc. in conducting periodic program reviews to understand the effectiveness of this program in meeting the GHG reduction goals of these states. During the most recent program review, ICF conducted an extensive economic modeling exercise with the REMI PI+ model to understand the economic impacts of the RGGI program’s extension to 2030. This REMI modeling exercise was led by Dr. Saha, who will share their findings in this webinar presentation.